Maj. Gen. E.L.M. 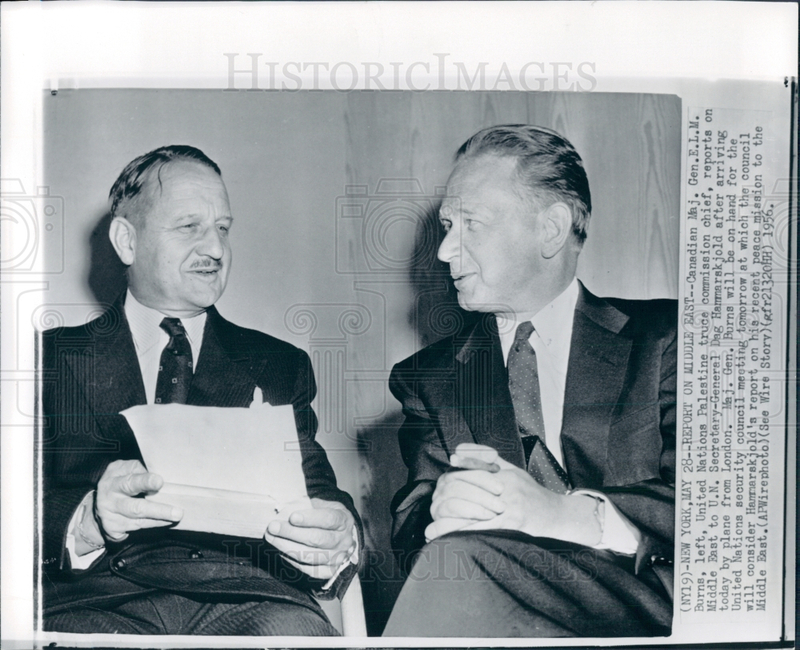 Barnes of Canada, UN Palestine truce commission chief, with UN Secretary-General Dave Hammarskjold. 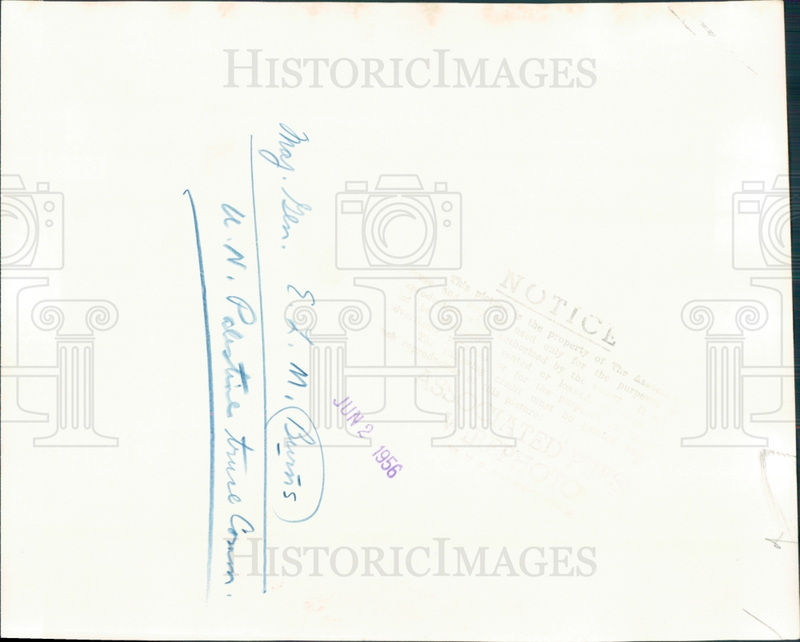 Dated May 28, 1956.